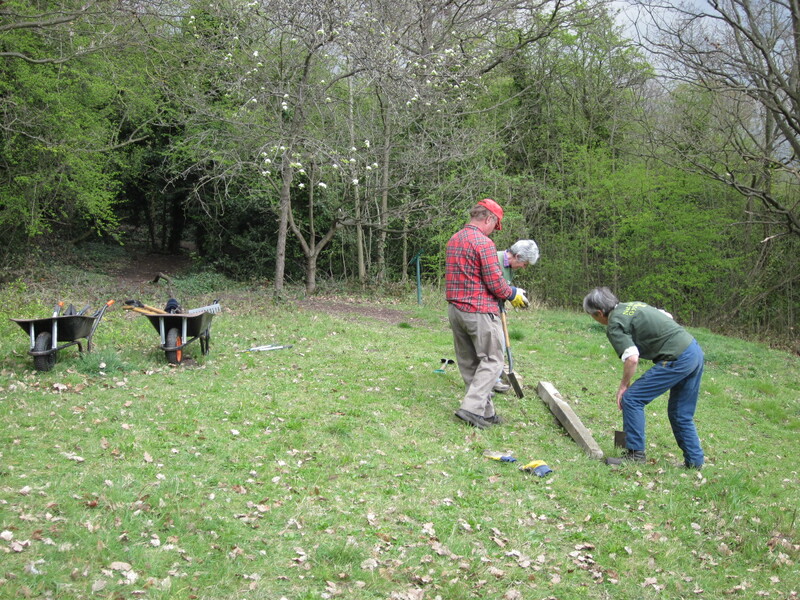 The Nature’s Gym spent a relatively sunny day – well, we missed the rain anyway – working in Devonshire Road this week. 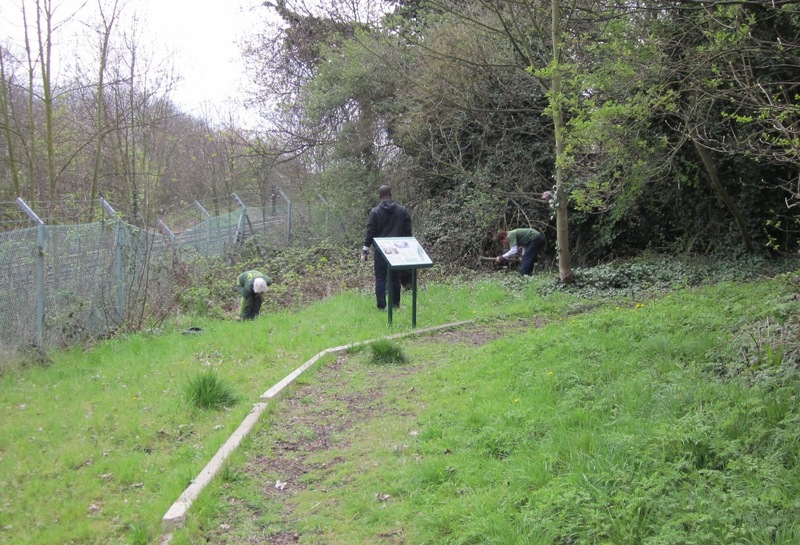 There was quite a lot of work to do, so it was lucky for us that so many people turned up! As well as the usual, very rewarding and important job of keeping on top of the bramble and clematis, they also tried their hand at a bit of footpath building. The footpath in the top meadow needed rerouting and therefore we had to mark this out so people would know where to walk. 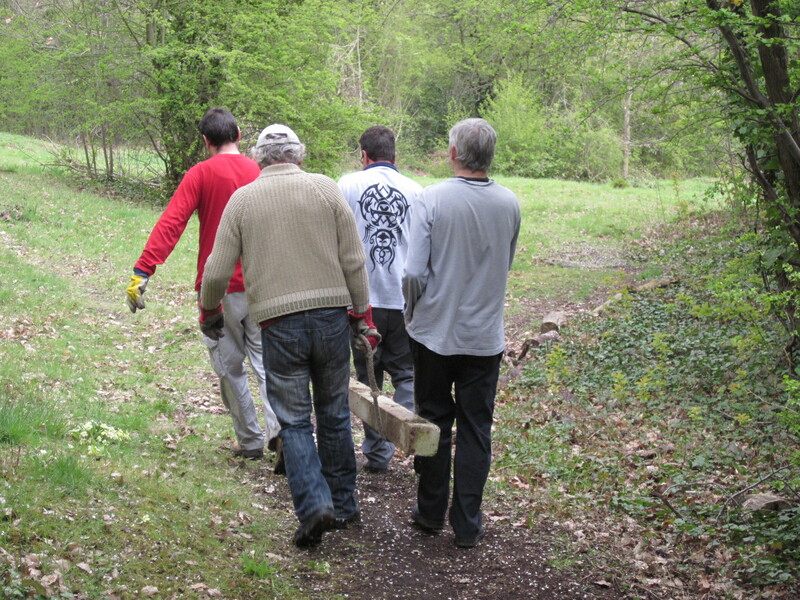 Using materials already on site – old fence posts – the volunteers marked out the route. The posts had to be dug in to the bank slightly to make sure they didn’t roll down! While this was being done, other people had to carry the sleepers to the correct position. They were quite heavy so it too a few people! 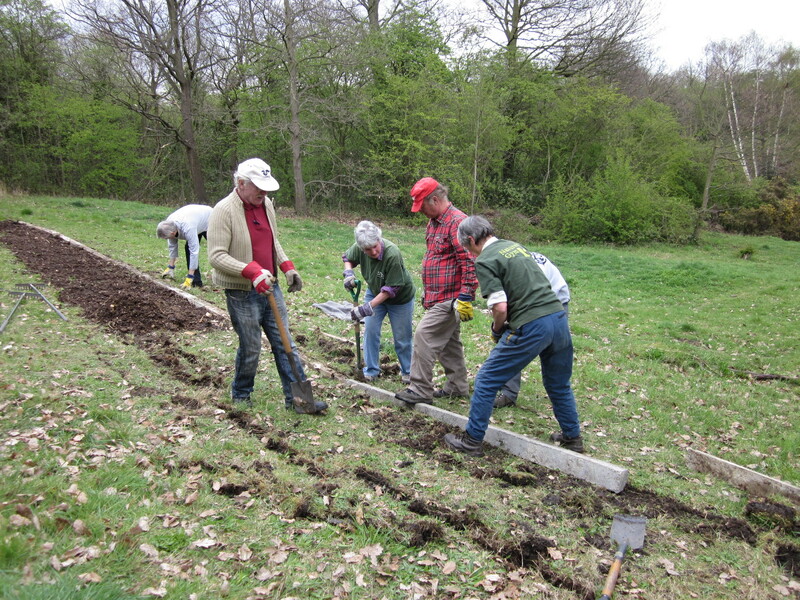 Once the posts were safely in place, woodchip was laid along the path. 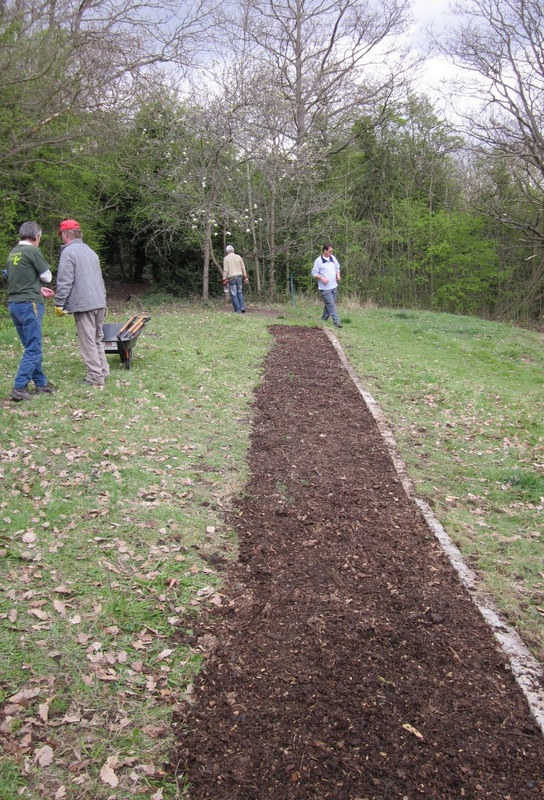 It is a long way from the top of the garden to the meadow, so the ‘barrowers’ certainly got a good work out. A bit like going to the gym – a Nature’s Gym…..did you see what we did there? 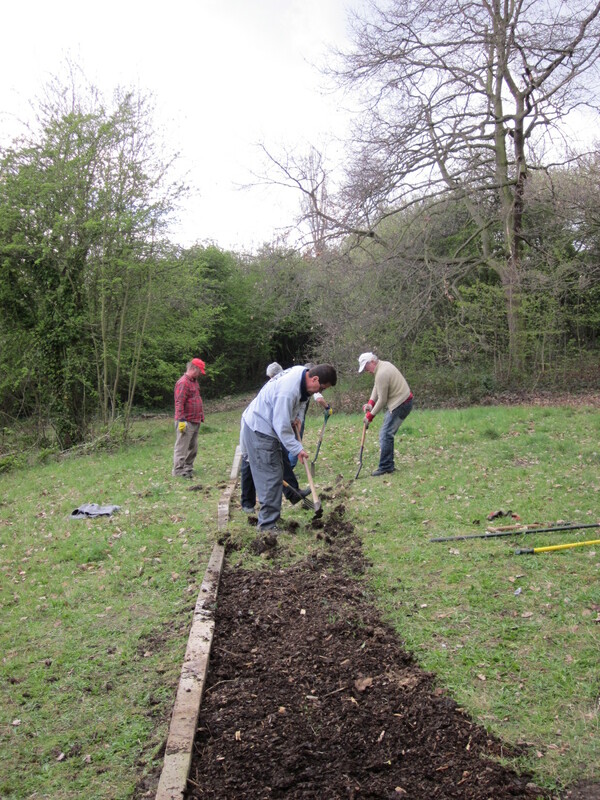 Anyway, to make sure the ground was a little more level, they also had to dig out some of the clumps along the path – nothing a mattock can’t handle! There is of course always time for tea and we are very fortunate at Devonshire Road to have a lovely seating area in their garden to sit in. 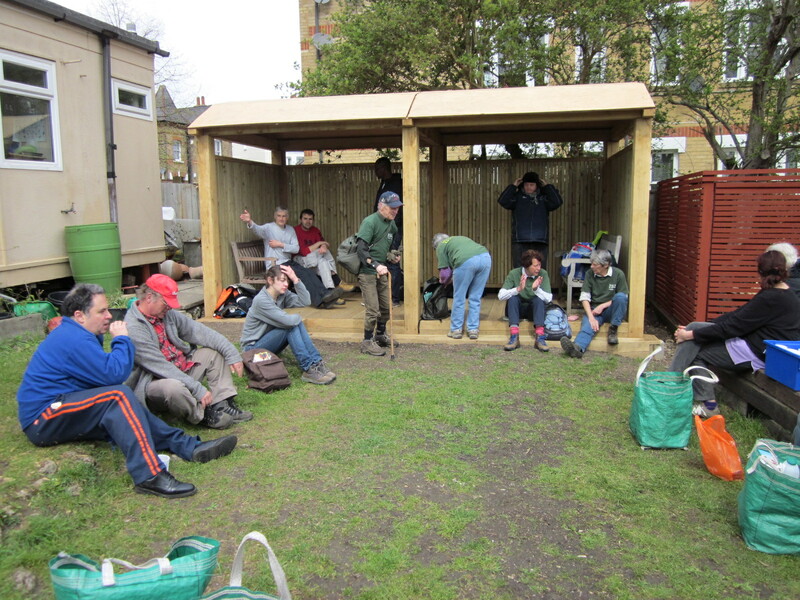 We were also able to make use of the fantastic new green oak shelter that the Friends of Devonshire Road helped to build. A perfect setting for our tea break…..